Similar to the smaller CTD that we dropped from the SAFE boats, there is a much larger one on the Sette that is dropped almost nightly. 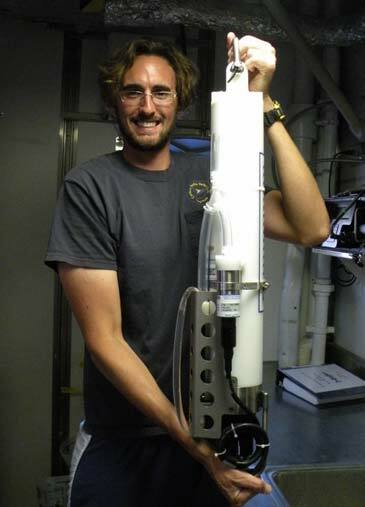 The large CTD is different in several ways: it drops to a depth of 6800 meters while the smaller one will only go 600 and the larger CTD can measure many more components. It determines conductivity, temperature, salinity, dissolved oxygen, and flourescence. Conductivity is the amount of electrical current allowed within the sample, salinity is then measured by the conductivity and temperature, dissolved oxygen is the amount of oxygen found within between the water molecules and fluorescence is, well, exciting. Flourescence is the measurement of chlorophyll at different depths; to do this a little LED light is shone into the water to see the excitability of the algae. 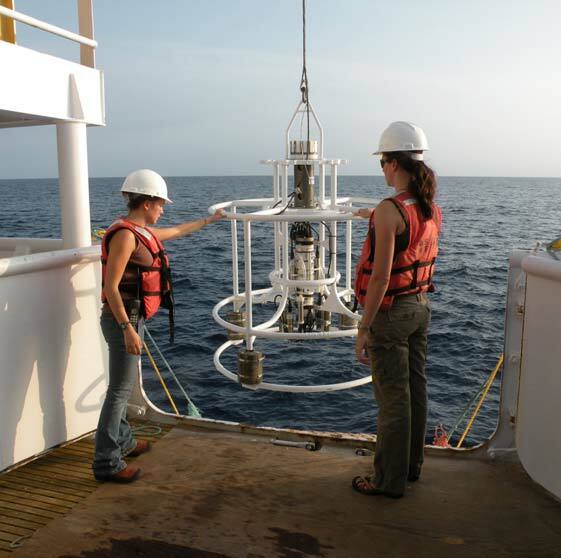 Determining the amount of chlorophyll, and subsequently the amount of algae, helps to, among other things, measure the amount of the oceans ability to absorb greenhouse gases. 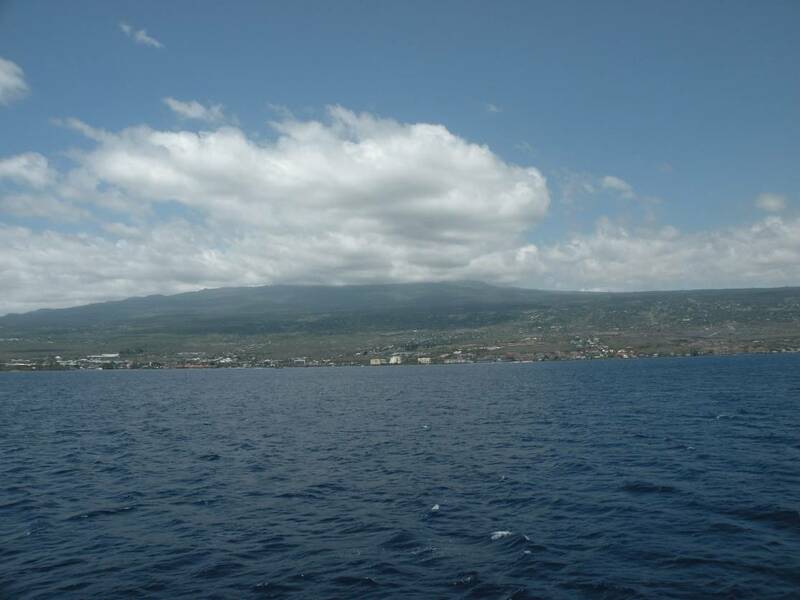 Prior to the departure of the cruise, the scientists set up sampling sites along transects on a grid system near shore off the Kona coast. They are compiling data over the years to analyze changes in the physical characteristics of the ocean. 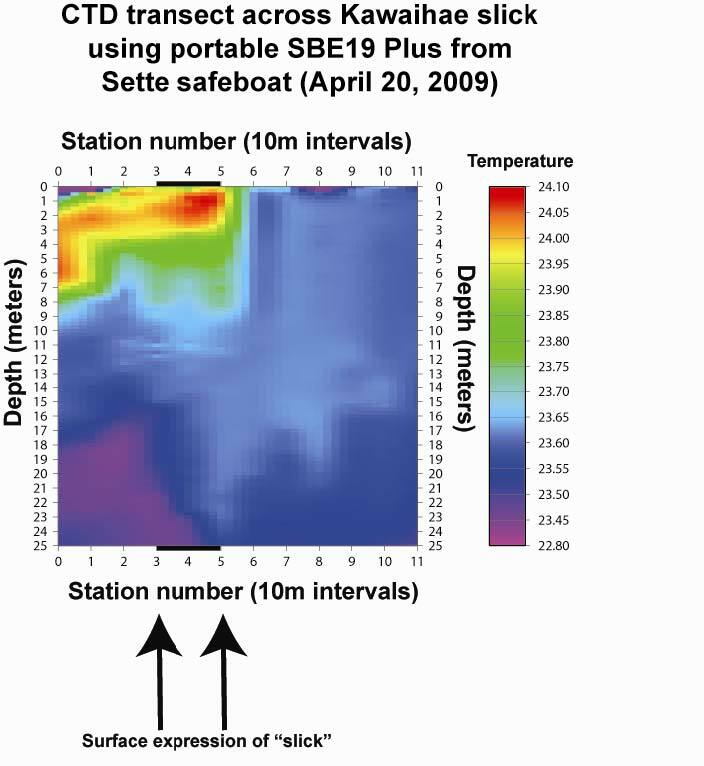 This part of the research aboard the Sette is really interesting and the impacts of the data are obvious. However, there wasn’t much for me to do with this other than take photos of the Science Techs do their job and ask them questions. That is quite alright though; I lost a couple hooks while bottom-fishing but I don’t think that I want to be responsible for losing that big piece of equipment. Earlier in the day, I was participating in the routine I/K trawl and we came across a slick that had perfect conditions for the billfish we were looking for. We dropped the net and slowly came upon the slick. We set everything in the water and even put the safety line across up. 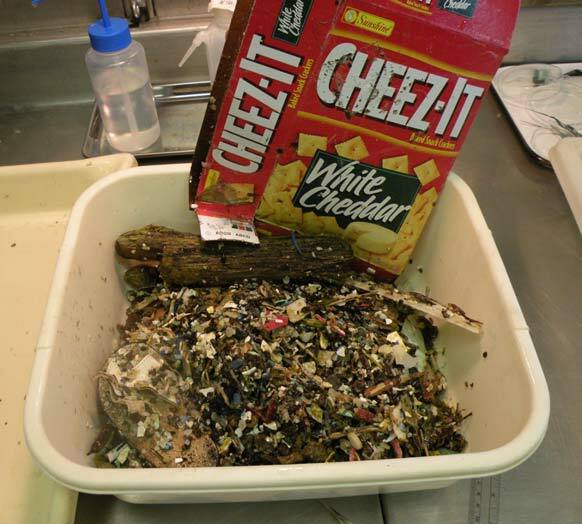 Within ten minutes the entire trawl was filled with marine debris, it was filled with trash. 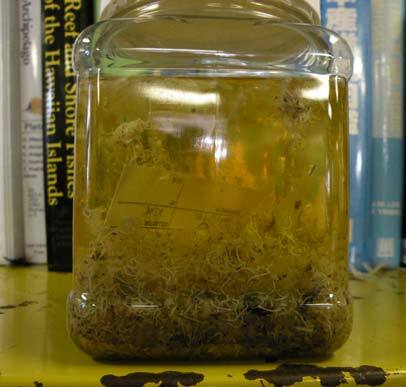 Debris accumulation is apparently normal for slicks; along with being an area where small fish can be found, the same ocean currents bring planktonic debris. 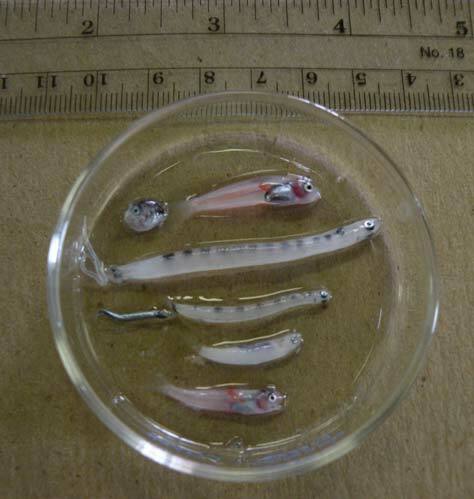 And, according to the scientists who study billfish, it is good habitat for fish larvae. Not this time. This time the whole net was filled with trash and very little of anything else. We started going through it and found a crab and a shrimp and pounds of plastic. We collected everything and dropped the net in again hoping to keep it down there longer. While the remaining trawls were less trashy, there were still significant amounts of litter strewn about. 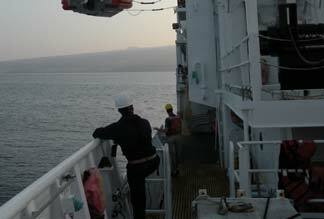 The large CTD required trained professionals so I sat back and watched the two techs maneuver the large instrument. I spoke with them after to understand what they were doing. 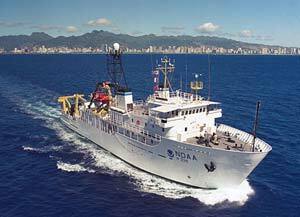 What I found most interesting was the use of the fluorometer to help measure the ocean’s ability to absorb greenhouse gases. Considering the challenges facing our planet and oceans, this is incredible data that they are collecting and when the results are analyzed, I can’t wait to see what they read. Another challenge is one that we faced when trying to run I/K trawls. The amount of litter in the oceans is staggering. I have worked on many beach cleanups and have run tons of classes, educating hundreds of kids about the importance of watershed responsibility. Seeing the garbage floating freely in the water, clogging the runways of slow currents in the oceans is depressing. Talking with the other scientists they suggested I take a look at NOAA’s Marine Debris Program. 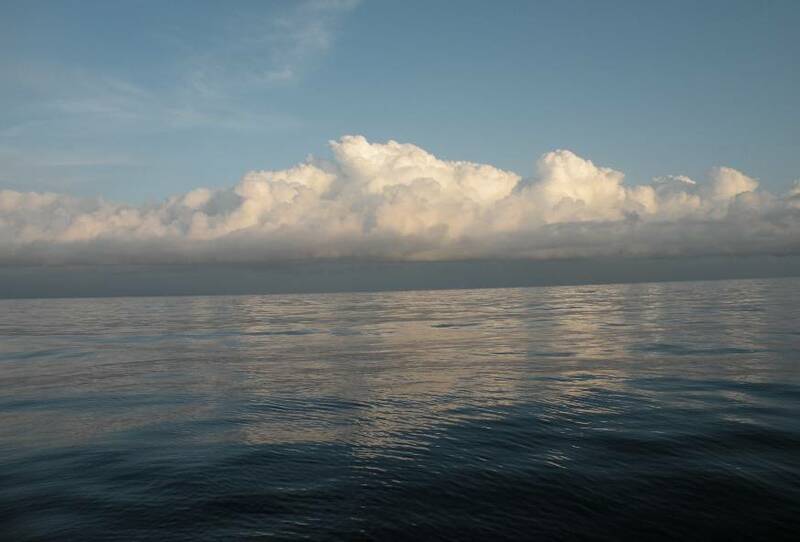 This is a very useful and informative website describing the many factors of trash in the ocean: awareness and information about hazards, education, removal projects, etc. This is a very pressing problem considering debris, and specifically small plastics that look like food, is found everywhere where the ocean touches shore. 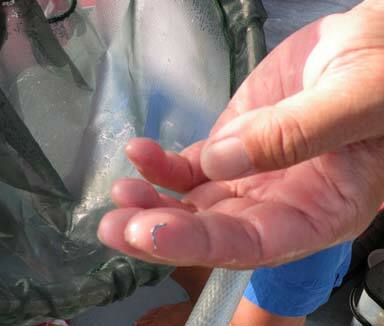 Like I said, we were picking up mostly trash in our trawls and the CTD doesn’t pick up many animals. 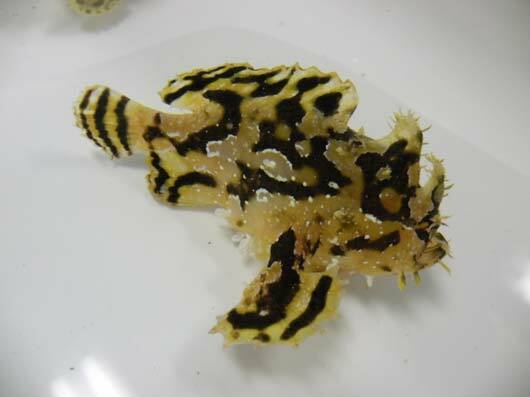 One of the small boats did happen to pick up a kind of Frogfish called a Sargassum fish (Histrio histrio). I was reading about them and apparently they have one of the smallest brains in proportion to their body and they are highly cannibalistic. Slightly cloudy with variable winds 3-5 Knots. One of the things that I’ve figured out is that fisheries scientists like nets. Big nets, small nets, blue nets and red nets. While I won’t go any further with the rhyme, the nets do collect some rather Suess-like creatures. Tonight, we worked a big net and found those creatures. The big net is the biggest on the boat and is called a Cobb trawl. The Cobb is deployed at night and is designed to capture pelagic organisms at deeper depths than the I/K or regular dip nets. The target species for this trawl is snappers. It is deployed at night for two reasons: 1) at night there is a better chance the fish won’t be able to avoid the net because they can’t see it and 2) a lot of the fish targeted follow the amount of light that penetrates the surface, they stay at the bottom during the day and swim up at night – this is called vertical migration. The Cobb is about 30 feet long and has a mouth opening of 7.5 feet that gradually tapers down to a foot long detachable cod-end. It can be dropped to different depths depending on the amount of line let out. 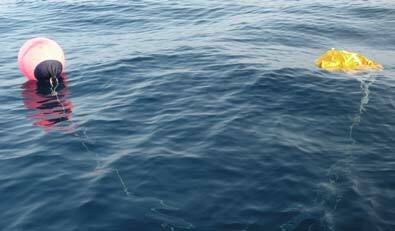 There is a 2:1 difference, so if 1,000 feet of net is released then it will drop to 500 feet below the surface. The Sette motors at 3 knots for about 3 hours while the Cobb is busy collecting the ocean denizens. The cod-end is only in the water for two of those hours. The scientists have been either targeting two depths and spending an hour at each or have been staying at one site for two hours. It takes a crew of at least 4 line-handlers, a crane operator, engineers working on the hydraulics and synchronizing between the officers piloting the boat from the stern and those on the fly-bridge just to keep the large net in the water safely. 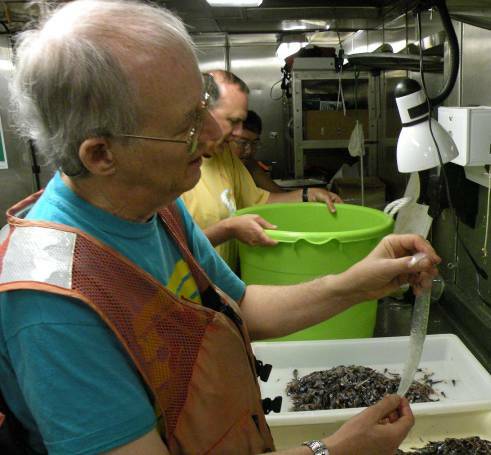 It is a long and coordinated process to retrieve the necessary sample of a couple pounds. For safety reasons, the scientists are required to stay away from the net until everything is on deck and the winch holding the net is off. But once the Cobb is brought up, it is like horses at a track: there is a rush to see what was caught. And I’ve never seen such large 8-year-olds as the scientists; mesmerized by the hundreds of fish, larvae, jellies and other fascinating creatures the group piles in around the sampling trays and quietly picks through trying to find the rare and unique. The haul is definitely something to get lost within. 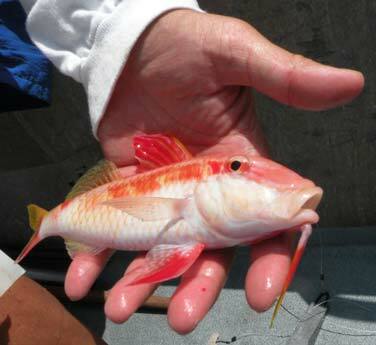 With so many different fish stacked on top of each other and the seemingly infinite number of marine invertebrates, trying to find a juvenile Snapper or rare Lantern fish with a pair of small forceps is much like those claw-games that keep eating your quarters. 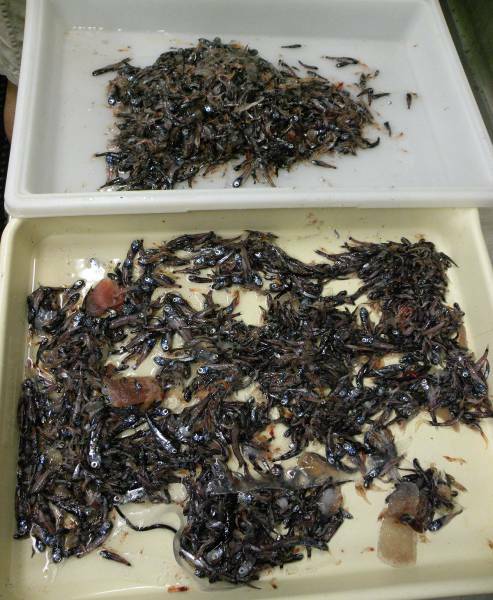 Of course, the rare and interesting species are analyzed but the rest of the fish need to be sorted also. While trawling took 3 hours, going through the collection was easily a couple hours. In the end, I was most intrigued by the eel larvae, the Snaggletooth and the flat fish. If you’ve ever had monsters in your dreams these are probably the culprits. The eel larva is flat, nearly transparent and when stretched out is almost a foot long. It has a black spot (maybe two but it is hard to tell) at the front of its body (you can’t tell that either, really) that I am supposing is its eye. Imaging this creature swimming around my feet is already making me shiver. The Snaggletooth is probably the most horrifying. They are only 5 inches or so but if they were the size of, say, my arm, I would never go in the ocean again. 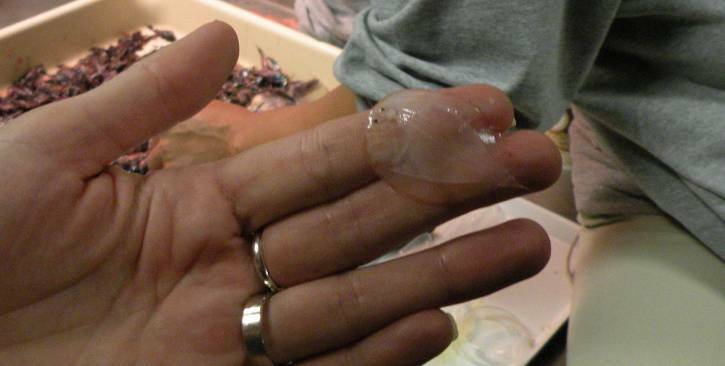 The flat fish babies are just gross. 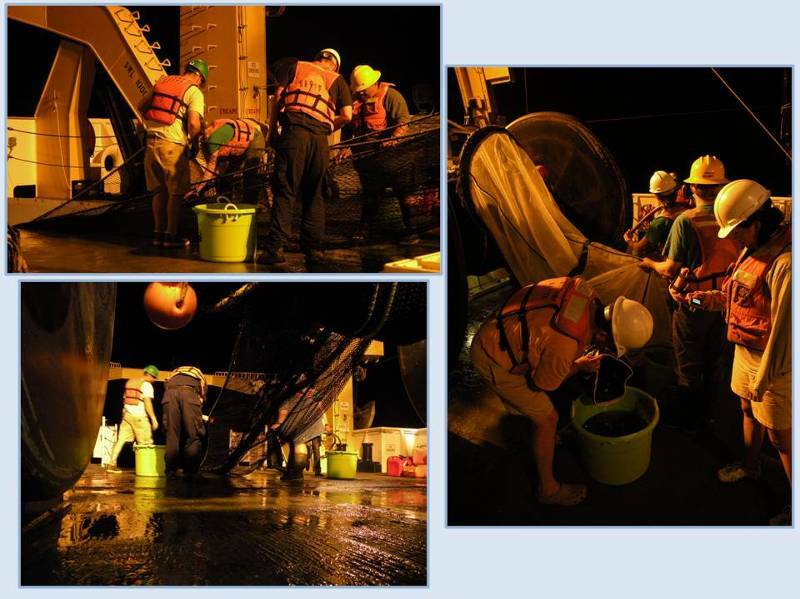 While all of these creatures are going make me sleep with the lights on tonight, they are marvelous representatives of the ocean creatures these NOAA scientists are studying. The Cobb is interesting because it starts 7.30pm and is a whole lot of nothing with bookends of activity. There is a lot of action to get it out, you watch the net in the water for 3 hours, a lot more activity to get it in and then for two hours is the fish sorting. I knew this before-hand and that is why it took me a week to stay up for it. But today I took a nap in the afternoon and was determined to wait for the net. I’m very happy I did because I wouldn’t have seen the stars in the cloudless Hawaiian sky on the moonless night, nor would I have been privy to the green bioluminescence off the bow wake. Also, the catch was a catalyst for the scientific banter in the hydro-lab where everything was sorted. Names of fish were flying past me at exceedingly high speeds and were volleyed by the appropriate guttural sound of “ohh” and “awe” from across the lab. It was well worth a late night bed time, even if the Snaggletooth is waiting for me. The net is named after John N. Cobb who lived from 1868- 1930. He was, among other things, Dean of the College of Fisheries at University of Washington in 1919, the only college of fisheries at the time. My roommate on the Sette, scientist Bruce Mundy, told me another interesting thing. Just off of where we stationed for the Cobb trawl is the site where Captain Cook was killed by the local Hawaiian population on Valentine’s Day in 1779. He was the first European to reach Hawaii on his way to discover the Northwest Passage. Everything was good on the first trip. After a year, however, he returned and he didn’t manage the local politics well. Hawaiians stole one of his boats and he was subsequently beaten and stabbed after trying to take the Hawaiian’s King as a hostage for ransom of his boat. Nevertheless, the local peoples honored him as they would have their own royalty, giving his funeral similar rites. Apparently there is shrine dedicating his place of death in Kealakekua Bay. Date: April 22, 2009 – Earth Day! This morning I awoke with a cup of tea and this beautiful sunrise coming over the big island. There is something auspicious about a morning like this and our day turned out truly favorable. At 6am we started our safety meeting with the regular GAR survey. The GAR survey is a standard safety check before deploying small boats. It stands for Green, Amber and Red and those are the colors associated with the number that represents the amount of danger with the operation. Apparently we were green because the crew prepared the boats. 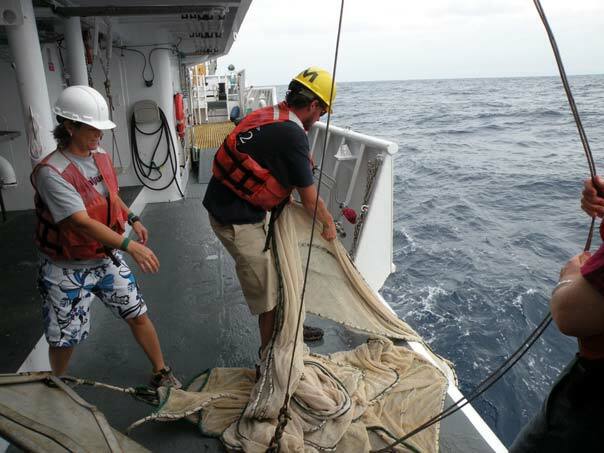 The larger boat dropped into the water with Chief Scientist Ryan Nichols leading the bottom-fishing. 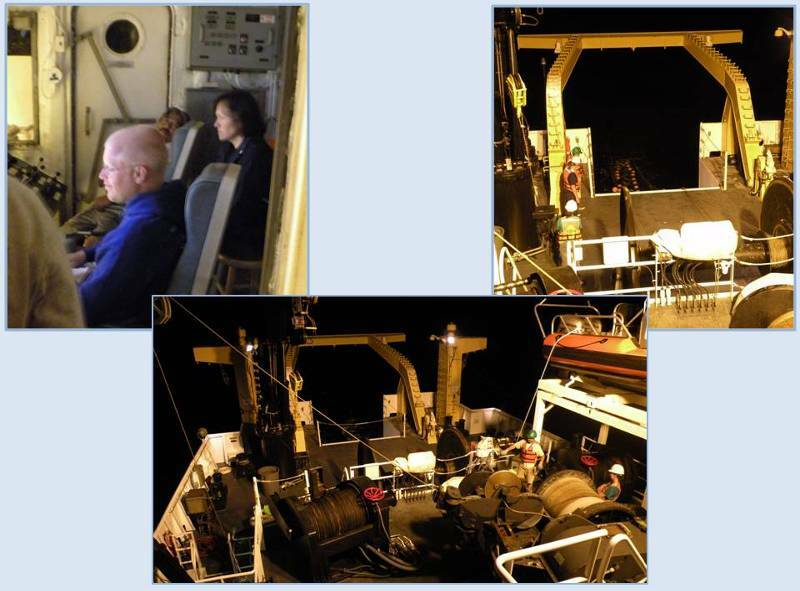 I jumped in the smaller boat with scientist Don Kobayashi to do CTD surveys. CTD’s stand for Conductivity, Temperature and depth. Depth and temperature are pretty self-explanatory but conductivity is the measurement of electrical current that is found in the water. This conductivity is proportional to the amount of salt in the water and it increases with a rise in temperature. Therefore, you can figure out the salinity by analyzing the temperature and conductivity. 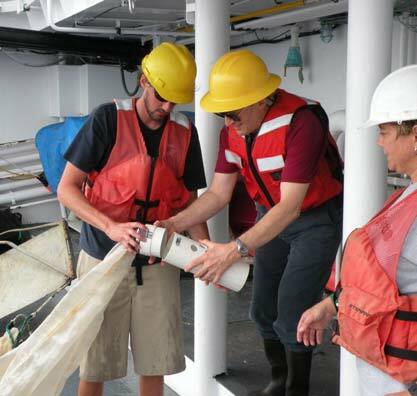 Don is working on measuring the unique circumstances that occur when two or more ocean currents come together and create calm waters known as slicks. 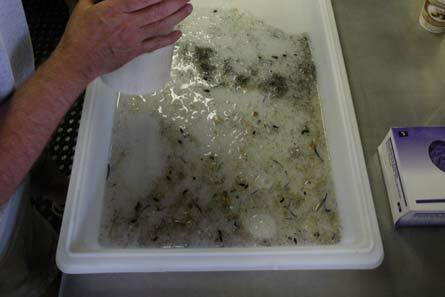 Lighter plankton collect within the slicks along with debris. It is curious to note whether the calm waters draw the weaker fish or whether they search the slicks out on their own. Not much is known about these converging points of down-welling and Don is trying to find out what makes them special.The weapon of choice for his study is an instrument that is about 5 pounds and about a foot and a half long. For our original drop we set a buoy down in the middle of the slick with a drogue, a sea anchor that works by means of an underwater parachute. We then dropped the CDT 5 times on each side of the buoy at 10 meter intervals, which expanded outside of the slick. This level of specificity allows for accurate readings of what is occurring just below the surface. The way the slicks start to appear and just as quickly disappear or even elongate is mysterious. The final page of this log has the results from one of the CTD drops with an explanation. After measuring the physical characteristics of the slicks we started dip-netting them, chasing the plankton and debris. Don sat on the bow and I leaned over the port side cruising along at about 1-2 knots trying to find bubbles, debris or any sign of life like a glimmer from the side of a fish or a Pilot Whale (I’ll get to those soon). We caught a few things; well, actually Don caught almost everything while the baby fish evaded me diligently. We collected our, or rather, Don’s haul and kept in a bucket for safe keeping. 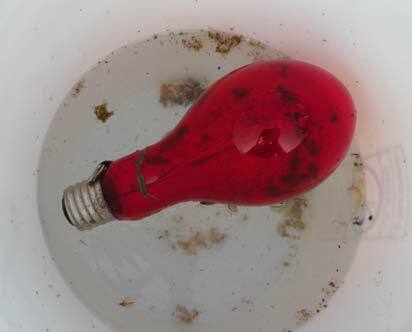 We caught a big red light bulb with Goose-neck barnacles on it, but more importantly, fish hiding underneath it. The light bulb brought in most of our haul but we did find some other larvae hanging out under a bunch of bubbles. After dip-netting for a while we found the other boat and helped them bottomfish. We grabbed one of their reels and spent the remaining two hours of our trip trying to catch fish. Where I wasn’t successful with the larvae, I made up in catching a Yellowbarbel Goatfish (Parupeneus chyrsonemus). Unfortunately for us, yet fortunately for him, this colourful bearded fish was not a target species. We let him go safe and sound with only an odd abduction story to tell his friends. Our haul from the slick. The light bulb has life underneath, I swear. 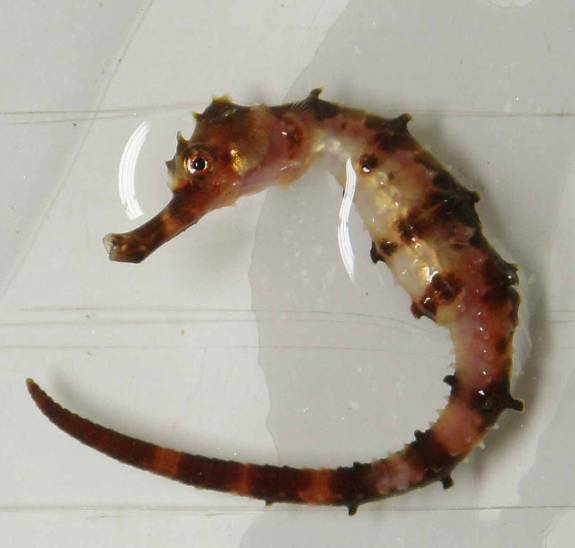 Today I learned a lot about slicks, conductivity and goatfish. The amount of stuff that congregates in the slicks is fascinating and it was wonderful being on the hunt with my net for hours. 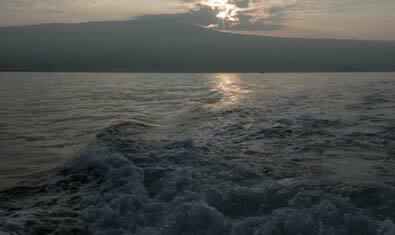 Even better though was being out on the crystal clear, calm waters off of Kona. There was hardly a breeze, the water was nice and warm and all I wanted to do was jump in. 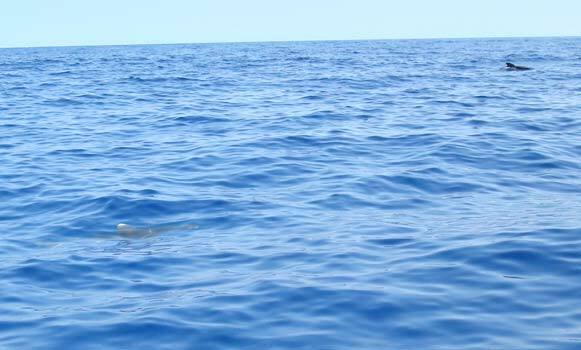 Right when I was thinking about ditching my boat and going for a swim, a 4-5 foot Oceanic White-Tip Shark (Carcharhinus longimanus) swam under us. I was told not to pet it. I have never seen a shark with the reputation as ferocious as this one so close. The ends of his dorsal and pectoral fins were shining white in the clear Hawaiian water and he looked formidable yet tranquil. 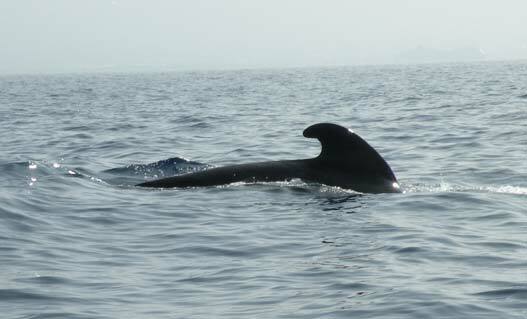 While we were dropping the CTD, a call came over the radio from the Sette informing us that Pilot whales (Globicephala macrorhynchos) were in the vicinity. We paid it no mind as a sighting like that would most likely pass without our noticing it. Sure enough, within half an hour a pod of about 8 whales were heading directly for us. The whales were cruising around us showing us their giant domed heads and curved dorsal fins. When they got within about 10 yards of the boat they all disappeared and didn’t reappear until they were well beyond our position. But for a while, we were schooling with Pilot whales. On our way back to the boat we were flagged down by Ensign Norris, Lieutenant Little and CO Lopez from the Fly Bridge. 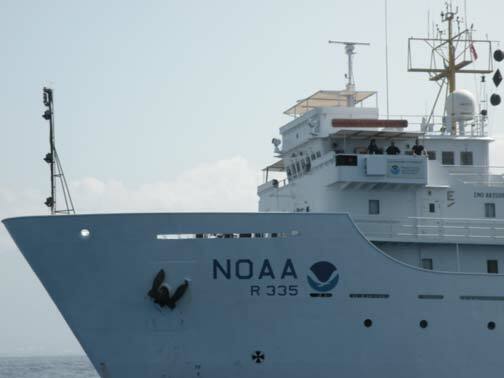 They needed photos of the Sette with the large NOAA logo while underway. Well, here is one of the shots and if you look closely you can see all three up there. Here are some of the data from the handheld CTD dropped in the slicks. As you can see the area surveyed within the slick has higher temperatures deeper and more heterogeneity. This is opposed to just outside the slick where it is colder with little variation.